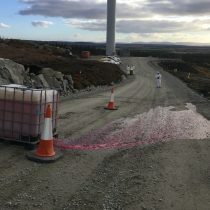 ATG Group has been delivering Emergency Spill Response Training at wind farms throughout Ireland to prepare Siemens and their staff to contain and mitigate any potential environmental damage that may be caused due to a fuel or chemical spill at their sites. Our Environmental Awareness Training aims to provide companies with the ability to handle any type of spill situation and minimise the impact of such an event. Selected personnel are trained in the correct deployment of safety and containment equipment. This ensures a company, that should a minor-moderate sized spillage occur it can be handled in-house. They also have the added security of calling upon ATG Group should the need arise. With fuels, coolants and lubricants used inside each wind turbine, Siemens recognised the potential risks that there could be to the local environment if a spill were to occur. They have proactively sought training for key staff members at each of their sites in Ireland to become part of their Spill Response Teams. These teams will lead any emergency spill response and are trained to contain fuel or chemical spills on both land and water. Due to the often rural and remote locations of wind farms, it is extremely important that Siemens has a team available at each site trained to deal with spills. If an emergency spill incident were to occur, help can often by hours away. By the time this help arrives severe damage could already have been caused to the local environment. By having a spill response team available, they can deal with and contain spills, then assess whether they will need assistance from a spill response contractor like ATG Group, or if they can handle the response and clean-up in-house. 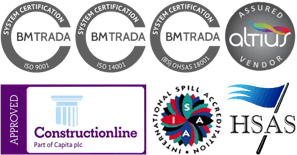 For more information about our Environmental Awareness Training, check out our Academy.